The ecological and cultural diversity of Sri Lanka awaits you on this enchanting 13-day tour that traverses the island nation. Explore Wilpattu National Park, see blue whales off the coast of Mirissa and lounge at the beaches of Negombo. 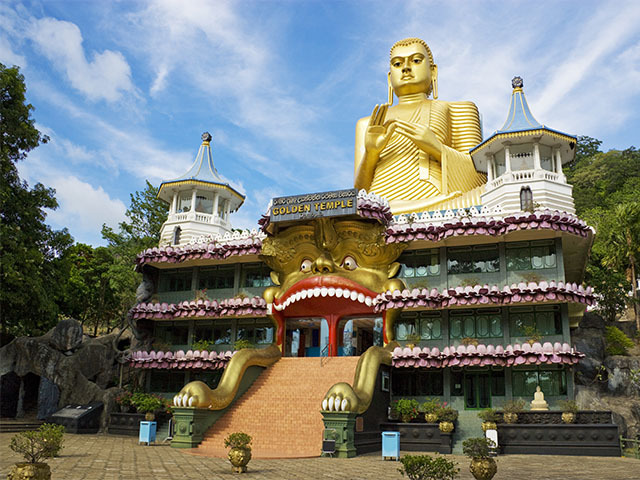 Tour the ancient city of Kandy, explore Sigiriya Rock Fortress and Galle Fort. Arrive at the city of Galle, relax at your hotel, and prepare for an inspiring journey across Sri Lanka. Begin your journey at the Dutch-influenced town of Galle, in southwest Sri Lanka along Bay of Galle. The quaint town is well known for Galle Fort, a UNESCO World Heritage Site built in 1663. The fort snakes its way around what is now the commercial district lending a feeling of Dutch colonial times. In addition to its historic charm, Galle proves to be quite an intriguing destination with colourful markets, bustling lanes, beautiful temples, and a shimmering ocean. After a two and a half-hour drive from Colombo to Galle, check in to The Lighthouse Hotel situated by the blue waters of the Indian Ocean. The hotel will transport you back in time with its stately and luxurious dwellings inspired by the fort’s colonial architecture. All guest rooms offer serene views of manicured lawns or the great ocean beyond. There are plenty of dining options to choose from, including casual cafes, relaxing bars, and formal restaurants. The evening is at leisure for you to relax and prepare for your forthcoming adventure. Check whale watching off your bucket list as you head to Mirissa to spot blue whales, sperm whales, and spinner dolphins. Explore Galle Fort in the evening. An ideal location for whale watching, Sri Lanka is situated within the International Whaling Commission's protected zone in the Indian Ocean. See blue whales off the coast of Mirissa near the continental shelf, and then travel further offshores to spot sperm whales in the shipping lanes. You will also see Bryde’s whales, dwarf sperm whales, spinner dolphins, striped dolphins, and Indo-Pacific bottlenose dolphins on your oceanic voyage. 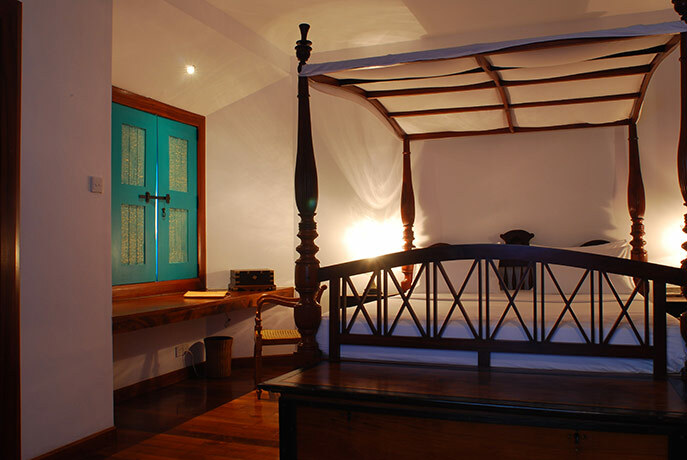 After returning to the hotel for a relaxing afternoon siesta, head out to explore Galle Fort. The fort is a vast garrison, spanning 90 acres, which was originally built by the Portuguese and later extended by the Dutch. Their cultural influences are evident in the eclectic architecture all around Galle, and especially at the town’s famous Dutch Reformist Church. When the British took over the fort in 1796, they too added their own influences. When you enter the gates to the fort you will notice a much slower pace of life as compared to the frenetic movements outside. Travel to the town of Belihul Oya, where you will walk along an ambling nature trail through lush paddy fields, bubbling rivers, and small villages. Arrive at the picturesque town of Belihul Oya, a five-hour drive from Galle. Belihul Oya’s unique ecosystem is a combination of moist semi-evergreen forests, tropical savanna forests, dry patana grasslands, and montane temperate forests. This array of diverse habitats makes Belihul Oya a bio-diversity hotspot. Once you have settled in to your accommodation at the River Garden Resort, you will have an opportunity to explore the wildlife-rich surroundings on the Kinchigune Nature Trail. This 6 km long nature trail begins at your hotel, and runs alongside a riverine forest and the Belihul Oya River itself. Walk through paddy fields, cross calm rivers, and pass local village houses with their extensive vegetable plots. This is an ideal opportunity to learn about the local agricultural systems and the way of traditional Sri Lankan village life. Along the way, spot several species of beautiful birds and butterflies, which are endemic to Sri Lanka. Stop along the way to take photos, enjoy the small waterfalls, and to take in the wonderful surroundings. The trail ends where the Belihul Oya River meets the Samanala Wewa Reservoir. From there it is a short climb up through the verdant, ever-changing forest to Kinchigune Eco Lodge. The whole journey takes between two and four hours depending on your pace. Return to the River Garden Resort for the night. The spacious, clean and modern guest rooms assure guests of a good night’s sleep on comfortable mattresses while listening to nature’s very own orchestra! The restaurant serves Eastern, Western, and Chinese cuisine, and has a well-stocked bar. Spend the day working with the community and helping the locals improve their infrastructure—this is the ultimate connection to your destination. Today you have a rewarding opportunity to help the local rural community by working with them to improve their local infrastructure. You might be recruited to help with a school renovation process. Alternatively, you could be working on improving the irrigation system for the surrounding paddy fields. You can also help by making a donation to the village that will be used to buy stationary for the children and cultivation equipment for the villagers. Return to the River Garden Resort for the night. Spend the day in Nuwara Eliya where you will stay at a converted tea factory hotel and visit the tea plantation in the evening. 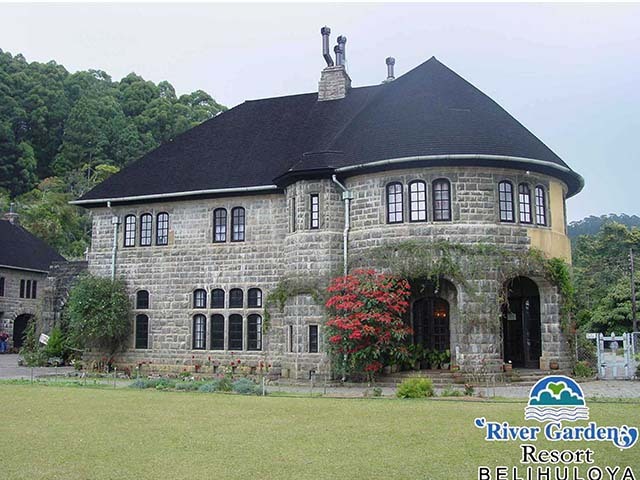 Travel for two and a half hours from Belihul Oya to the beautiful hilltop city of Nuwara Eliya. Often referred to as “Little England,” Nuwara Eliya has a climate unlike anywhere else in Sri Lanka. Due to its high elevation it offers a cooler and more invigorating climate than the lower regions. As a result of colonization, the outskirts of the town still retain their Old World feel and many of the original hotels still retain their grandiose colonial style. The town is also well known for its horse racing and the beautiful golf course. Upon arrival, check into the charming Heritage Tea Factory Hotel, a former colonial tea factory that has been converted into a vibrant hotel, while preserving the factory’s original exterior. Your cosy bedroom comes with an en-suite bathtub and shower as well as heating for when the mist closes in. What used to be the tea packing room is now the hotel’s popular Hethersett bar. A table by the window at the main restaurant, the factory’s former sifting room, affords beautiful views of the tea plantations. You can also opt for the unusual experience of dining in a 1930s narrow-gauge railway carriage. As tea is one of Sri Lanka’s main exports, your visit to a working plantation, will give you a new perspective on this pervasive brew. Driving through the plantation you will see the colourfully dressed tea-pickers hard at work on the sloping hills flush with tea bushes. Watch the entire process of tea making from the plant to the teapot. Then warm up by sampling several varieties of tea that are available for purchase at the Tea Centre’s boutique. Go on a unique train ride to reach Kandy. Then tour the city to soak in Kandy’s heritage and culture in the evening. Transfer to the picturesque Nanu Oya station (situated at 1600m above sea level) in the morning for your two-hour train journey to Kandy. This particular train ride has been ranked sixth on National Geographic’s 10 Unique Train Trips list of 2011. Enjoy a relaxing ride as you travel past tea plantations, lush forests, lively waterfalls, and picturesque villages. Upon arrival at Kandy, you will be transferred to your hotel. Kandy originally served as the capital of the Sinhalese empire and it still has many surviving buildings from its reigning era during 19th century that now serve as architectural monuments. Surrounded by mountains and green forests, Kandy enjoys pleasant weather. Head out in the evening for a tour of the Buddhist Temple of the Sacred Tooth Relic, which houses an original relic of Buddha’s tooth. Legend says that the tooth was smuggled into Sri Lanka from Buddha’s funeral pyre (held in India) in the 4th century AD by hiding it in a princess’ hair. It was later returned to India by an invading army, however, Sri Lankan King Parakramabahu III brought it back to his country successfully. The tooth is now kept in a gold casket shaped like a stupa (a mound-like structure) within the temple. The temple itself lies in the imposing royal palace complex that is surrounded by a moat. Visitors are expected to dress modestly, covering their legs and shoulders, and shoes should be left at the entrance. Worshipping at the temple is said to bring you good karma. After your visit to the temple, watch a traditional Sinhalese cultural show with lively dancers, enthusiastic drummers, and brave firewalkers take centre stage. Rich in colour and agile in their movements, the performers evoke images of traditions of the past. Stay at the Earl’s Regency for the night. Situated next to a river and surrounded by hills, the hotel is very environmentally conscious and attempts to minimize its carbon footprint through an energy conservation policy. All rooms are spacious and come with their own private balconies. Your dining options include a buffet restaurant, a Mediterranean speciality restaurant, a café, and an entertaining bar. Today you have a special opportunity to interact with the ancient indigenous Vedda community of Sri Lanka. Travel to Dambana to meet the indigenous, hunter-gatherer Vedda community. The Vedda (meaning “forest dweller” in Sinhala) people are direct descendants of the original Neolithic inhabitants of Sri Lanka. The Vedda people’s roots to Sri Lanka have been traced as far back as 16,000 BC. They possess time-tested knowledge of their surrounding forests that has enabled them to survive for centuries and continue to practice their traditions despite on going threats to their land. You will have a chance to interact with these knowledgeable people and learn more about their intriguing traditions and customs. A translator will be on hand to help you better communicate with the Veddas. We ensure that proceeds from this tour go towards supporting the Vedda community. Visit a beautiful spice garden and then explore Sigiriya Rock Fortress - a UNESCO World Heritage Site. Travel to Matale Spice Garden, a site that is sure to awaken your senses. An important part of the country’s culture, spices have been one of Sri Lanka’s major exports through the ages. For centuries, indigenous herbs and spices have been used for both medicinal purposes and flavour in traditional Sri Lankan cuisine. Guided by your sense of smell, tour various spices such as cinnamon, ginger, vanilla, and cardamom—all available for purchase at the end. Your next stop is the UNESCO World Heritage Site of Sigiriya Rock Fortress located in the Dambulla region. The site comprises a large ancient rock fortress and palace ruins used as a rock-shelter mountain monastery from the 5th century BC. Buddhist devotees once created beautifully ornate paintings on the cave walls that have become famous today. The interesting climb to the top (1,200 steps) takes you through rock-hewn passages and small caves. Halfway up you can see magnificent views of the water gardens below. On your way up, stop at the Fresco Gallery containing beautiful paintings of women, and the Mirror Wall that may have been used as a mirror in ancient times. Enjoy breath-taking views at the summit. Check in to the Elephant Corridor Hotel for the night. Set amongst jungles and hills, this all-suite hotel offers magnificent views of Sigiriya. Each suite features a private plunge pool and terrace. Dining options include the “Ambrosia” restaurant, the "Ebony and Ivory" jungle bar, and the "Fables & Tales" library bar. Today is action-packed with a hot air balloon ride over the region, an elephant ride, and a nature walk. Start the day with an exhilarating hot air balloon ride—sure to be one of the highlights of your Sri Lankan adventure! Drift effortlessly over treetops, spot wildlife, see beautiful lakes and rivers, cultural sites, local homesteads, and landmarks like Sigiriya Rock and Dambulla Cave Temple. After this magnificent aerial view of Sigiriya, explore your surroundings atop an elephant. Take a leisurely ride through the jungle and as you spot resident wildlife. In the afternoon, go on a 5.2 km, three-hour long nature walk through exciting jungle patches and serene paddy fields. Walk past interesting semi-permanent stilted tree houses where farmers spend the night. The farmers have formed a neighbourhood watch-type system where they each take turns to stay up at night in these tree houses to keep an eye on the crops. Along the trail, visit a typical village house where you will have the rare opportunity to enjoy a meal with the family. Your unique adventures for the day are not over yet! After completing the trail, travel to Sigiriya in a Land-master, a small tractor /vehicle which villagers use for their day-to-day agriculture activities. The ride can be slightly bumpy but a lot of fun! Take an evening safari in Wilpattu National Park and enjoy the once-in-a-lifetime experience of staying at a luxury camping site within the park. Explore Wilpattu National Park, located two and a half hours away from Sigiriya. Go on a four-wheel-drive safari of the park in the evening. Sri Lanka’s largest National Park, Wilpattu is known for its many lakes and its flourishing leopard population. You will be staying at a semi-permanent camp set up within the reserve. The tents are luxurious and come with carpeted floors, each featuring a living room, bedroom, and a bathroom that is fitted with all necessary facilities. Unwind in the evening by enjoying cold beers, brought right up to your hammock, and relax by the campfire as it cooks your dinner. 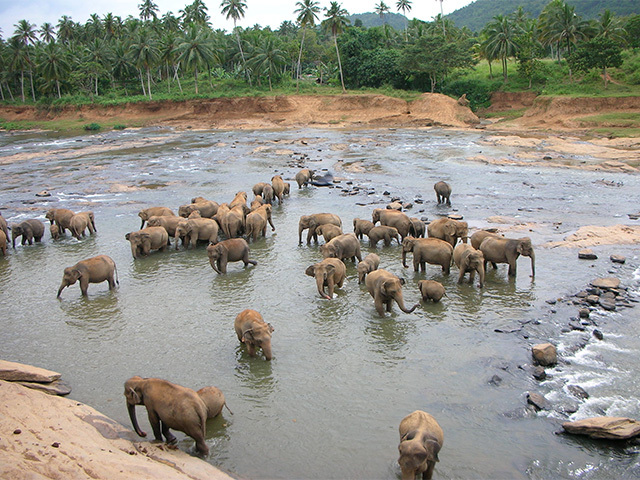 Go on an extensive full day safari into Wilpattu National Park. Enjoy a full-day safari into Wilpattu National Park. The park is home to 31 species of mammals residing within the park, including elephants, leopards, water buffaloes, sloth bears, and spotted deer. Bird watchers will be excited to spot painted storks, open bills, little cormorants, Sri Lanka jungle fowls, and wetland birds, such as garganeys, pin tails, and purple herons. Spend the evening relaxing in your tent. Spend the day lounging by the beach and getting some well-deserved rest at your hotel in Negombo. Enjoy some leisure time in the beautiful beach city of Negombo. After a four-hour trip, check into The Beach Hotel and spend the day at leisure. Guest rooms are well appointed with elegant furnishings, ultra comfortable beds, rain showers, spacious bathrooms, and private balconies overlooking the palm-fringed beach. Dining options include international cuisine buffets and barbeques at the main restaurant, seafood gourmet delights at the Black Coral restaurant, delectable cocktails at the Terrace Bar, and snacks and pizzas at the casual beach café. After enjoying an exhilarating Sri Lankan holiday, travel home. Enjoy one last look at the beautiful waters of Sri Lanka before transferring to Colombo Airport for your flight home.